For a business to properly function, internal communication is vital and of great importance. 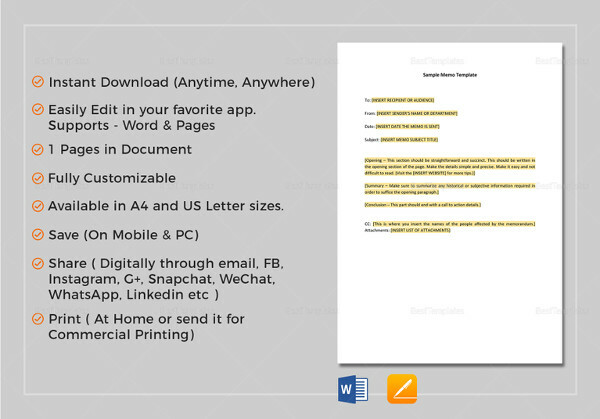 Business Memos are used in business to convey messages across the organization. 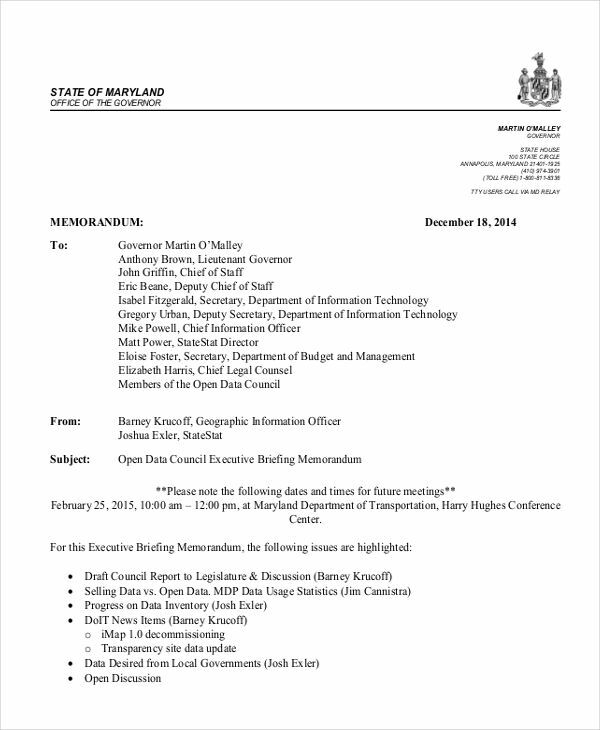 An effective memo aims to inform or report something, issue orders, or to convince action. Irregardless of purpose, memos are an important part of communications in business. Examples in the page show memo format and structure to help you better understand the making of a memo. All examples shown are available for download by clicking on the download link button below the sample. Scroll down to show additional samples that may be of use to you. 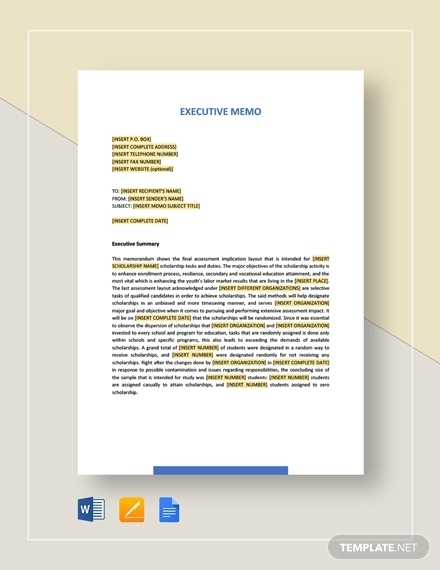 What Is an Executive Memo? 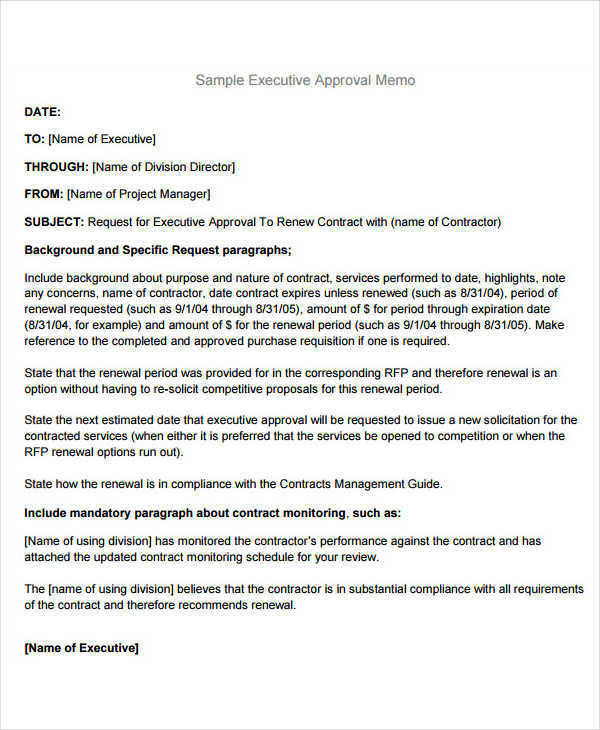 An executive memo is a short document that aims to inform management or decision makers about any issues in connection with the business (projects and project developments) that would need approval with the management. Sample memo and business memo examples are showcased on the page to assist you in your next memo writing endeavor. The samples are all available for download by clicking on the download link button below the sample. In writing an executive memo, make sure that you understand what management is looking for. If it is something about a policy, make sure that you get what needs to be changed or updated. If not, be sure to get more details or information. Second, it is very important that you do your research on the topic. Facts and figures are often convincing factors that make up an executive memo. Executive memos are often directives and precise. So make it a point to be as authoritative sounding and convincing with regards to the tone of the memo. Internal Memo examples and professional memo examples are seen on this page. Just click on your spotted memo example and the rest is history. When Is an Executive Memo Needed? An executive memo is basically used when there is information relating to or from higher management that needs to be communicated or conveyed either in between management or from management to the entire organization. 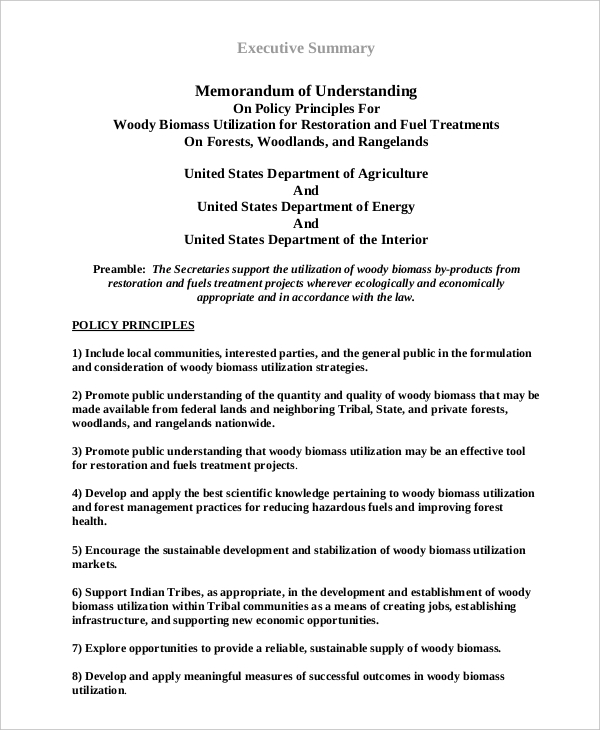 Executive memos usually announce new policies or policy changes. Some report on appointment of new personnel in key positions in the organization. 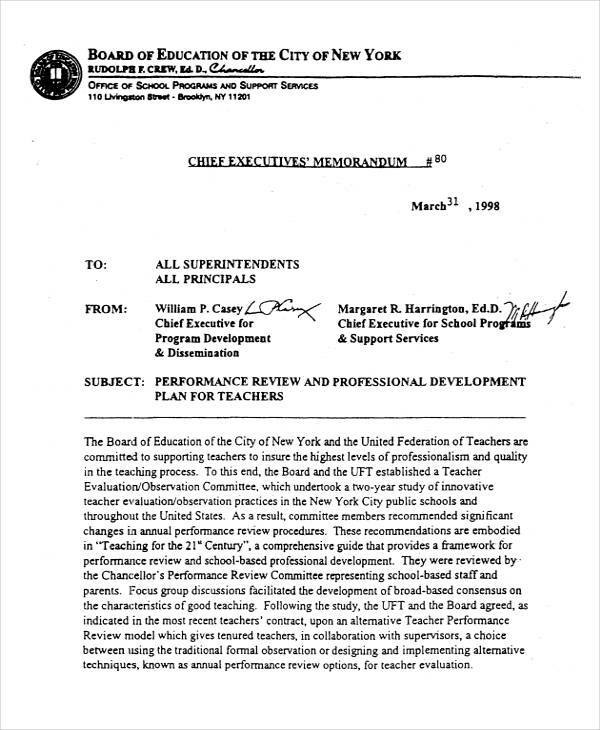 Memo examples and formal memo examples seen on the page provide for further information and basis in making an executive memo. Be sure to click on the download link button below the sample to access the sample file. 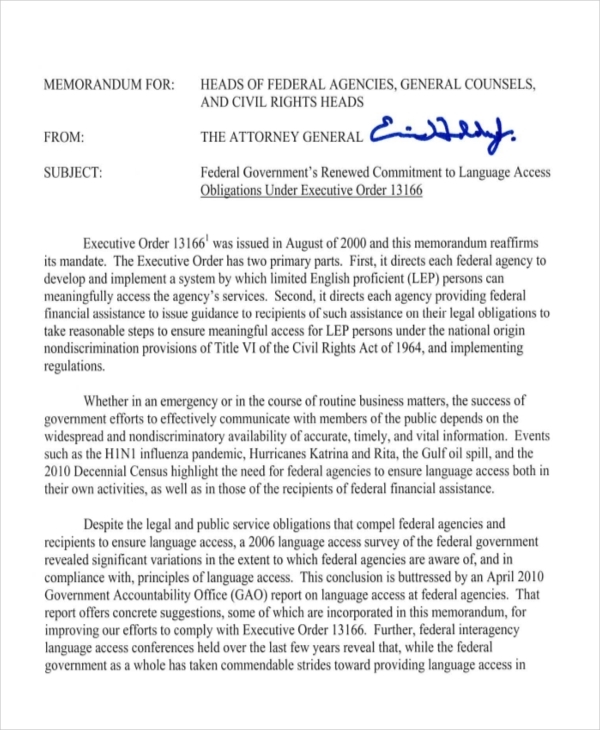 The benefits in issuing an executive memo is that information spreads fast or communicating a directive or report reaches almost always instantly to everybody in the organization since a memo is short and presents key points to a message right away. It also helps that it is often sent out via corporate email or individual memo documents which are usually no longer than two pages. 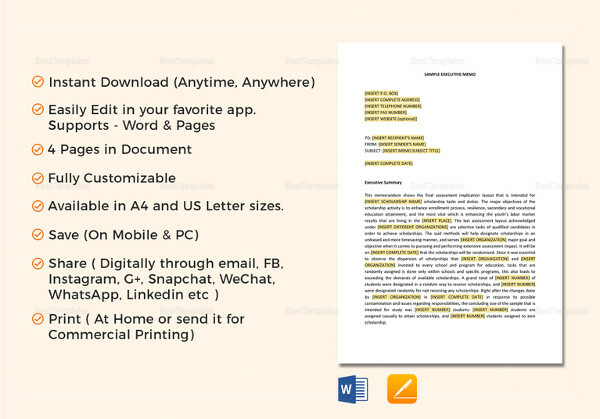 Memo examples in Word and strategy memo examples in the page provide for further insight in the better understanding of what a memo looks like and how it is drafted. Have a look at other samples on the page to know more. How Do You Write a Proposal?